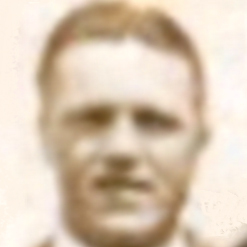 An ex-Royal Marine Commando with the 42 – RM42 (one of the most significant divisions of the WWII South East Asia Campaign during WW2), Matt was a former Ayr United player who signed for United on a one month deal. He was released when his contract expired and later joined Bolton Wanderers. Matt was born on this date in Dennistoun, Glasgow.